Before you write another rent check, or write off the great opportunity for buying a home in Augusta Georgia, consider the following seven things you need to know when it comes to homeownership. HOMEOWNERSHIP IS A SOLID LONGTERM INVESTMENT: In fact, it's probably the smartest investment you will ever make during your lifetime. That's because buying a home in Augusta Georgia has proven to be a critical contributor of financial well being for Augusta area families for decades. While residential real-estate did especially well between 1998 and 2005, I'm not thinking of just that period. Instead, housing has been making consistently solid gains since at least the 1950's. It's simple - homeownership generates wealth, renting your home does not. 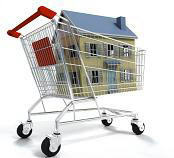 THE IRS GIVES BIG ADVANTAGES for Buying A Home In Augusta Georgia: The federal government provides tax breaks for homeowners - from allowing you to deduct your mortgage interest, mortgage insurance and property taxes to exempting capital gains taxes on your primary residence, within limits (be sure to check with a tax professional to see how these may apply to you). In some cases, you may find that your after-tax mortgage payment is comparable to, and perhaps lower than, your current rent payment! GENERALLY SPEAKING, HOME VALUES ARE STILL RISING: During the past year, when buying a home In Augusta Georgia home prices across the country rose 3.2% according to government statistics. While that's the slowest rate of appreciation we've seen over the past ten years, the value of the typical home continues to increase, with the exception of certain areas of the country. And history is on your side, especially when buying a home in Augusta Georgia for at least a few years. Since 1975, and through recessions and expansions, the average annual appreciation rate for the typical home is 6%. And national home prices since 1975 have yet to record a decline for any one-year period. WHAT THE MARKET IS DOING NATIONALLY IS IRRELEVANT TO YOU: The media likes to refer to a "nationwide housing slump." But don't be misled. Real estate isn't national, it's local! The only market you need to be concerned about is when you're buying a home in Augusta Georgia. Some areas throughout the country are indeed struggling. On a state-by-state basis, five states recorded price declines of between 1.0% and 1.5% in the past year; Rhode Island, Massachusetts, California, Michigan and Nevada. But at the same time, four states posted increases in excess of 9%: Montana, Washington, Wyoming and Utah. When considering buying a home in Augusta Georgia appreciation, ask yourself about prospects for local job growth: Is it anemic or healthy? And as your real estate agent, I can tell you a lot more than just listing prices. I can provide days on market, the local housing inventory and selling prices to get a clear picture of your current local market. Don't let headlines in the media scare you away. BUYING A HOME IN AUGUSTA GEORGIA OPPORTUNITIES HAVE IMPROVED: In most of the country, the number of homes on the market has risen steadily, making this largely a buyers' market. Sellers are more willing to make concessions on price or even pay part of the closing costs. Mortgage rates remain low by historic standards, and while lending terms have become more stringent for those with less-than-perfect credit, borrowers with a good credit record probably won't notice much of a difference. YOU DON'T HAVE TO WORRY ABOUT TIMING THE MARKET: Ideally, when buying a home in Augusta Georgia you'd snap up a new home when the price is at its lowest, and see it start to appreciate right away. It's nice to dream, but don't let that keep you from getting into the market. Remember it's not timing the market; it's time in the market. If you're making a long-term purchase - a property you expect to own for at least four years or so - you're usually better served just getting in. SMART HOME FINANCING OPTIONS ARE STILL AVAILABLE: There's a wide array of mortgage products out there, filling various needs for borrowers buying a home in Augusta Georgia. Be sure you understand what you're getting. Will the rate change? If so, how soon? How high could it go? Can you handle bigger monthly mortgage payments? Are you paying down the loan's outstanding balance? If you have the option of paying less than the monthly interest accrued, are you willing to add the unpaid interest to your loan's outstanding balance (known as negative amortization)? Again, the main point; Homeownership is the way American families move ahead financially, and waiting for the current concerns to fade away can cost you. Don't simply assume that this is a bad time for buying a home in Augusta Georgia. Go beyond the headlines, and make yours a well-informed decision.